In boardrooms across the globe, decisions are made based on the analysis and insight provided by our Maritime Research teams. Our industry knowledge and understanding also provide the unique intelligence that underpins our advisory services. 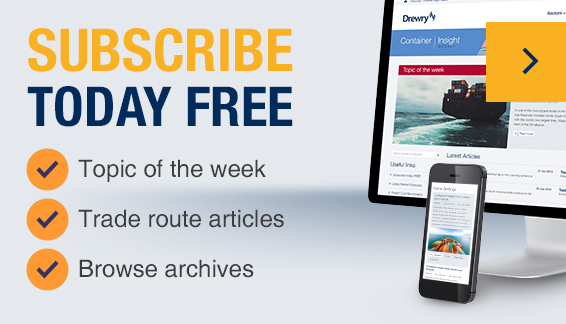 The primary source of market insight and analysis, trusted by the global maritime and shipping industry. For over four decades we have been continuously monitoring and analysing the world's shipping markets. Over that time we have established a reputation for objective, robust and balanced opinion senior stakeholders within shipping, finance and logistics need to make informed business decisions. Our comprehensive range of titles and services keep our clients up to date on every key maritime sector, from dry bulk to chemicals, LPG to ferries with rigorous analysis and insightful commentary on past, present and future sector performance. Let us take care of your maritime research needs, so you can concentrate on your business goals. More than 45 years charting the world's maritime markets, providing insight and analysis that informs business decisions. Our voice is our own and is not defined by others. This objective outlook has cemented our reputation as an indispensable reference. From containers and ports to tankers and dry bulk, we offer one of the most comprehensive and respected sources of market insight. Our market reports and forecasts set the industry standard for quality and objectivity others are compared against.